This reveal is for the Spring Fling Kit challenge!!! I want to start by saying - thank you for my former BSBP partner, Alenka, for collaborating with me for this challenge and creating these beautiful pendants! I confess however, I am a wee bit behind. I was busy over the last few weeks with this A-Z challenge...and a few other challenges! In any case...I know some others had some time issues, but in the bead world, I think it's fair to say that we don't like to pressure anyone. BUT since I know some people were finished, I decided not to postpone the reveal. I figured I would just post my progress so far! I may even finish today (I'm actually writing this on Friday for Saturday! ), if so I'll update with my finished piece. And here is what I've done so far! Please take a look at what the other participants have done...I know I am excited to do so!!! Oh love what you did, that flower is so cute! Oh Wow Amy that is gorgeous! I love the flower very nice touch. Thank you for this challenge, I had a hard time with it, but still I enjoyed the process. You really made this your own! I'd put a pinback on it and call it done! not only do i love the style you used for the netting, but i absolutely adore that flower you made! gorgeous! I think we were all a bit behind. :). I absolutely love how you started this. The little flower on the side is perfect. I love the netted bezel also. I can't wait to see how it turns out. Thanks for hosting. It was fun, as always. That's amazing!!!!! Did you sew the pendant and beads to the background? Oh, that is so lovely!! I absolutely love what you've done... 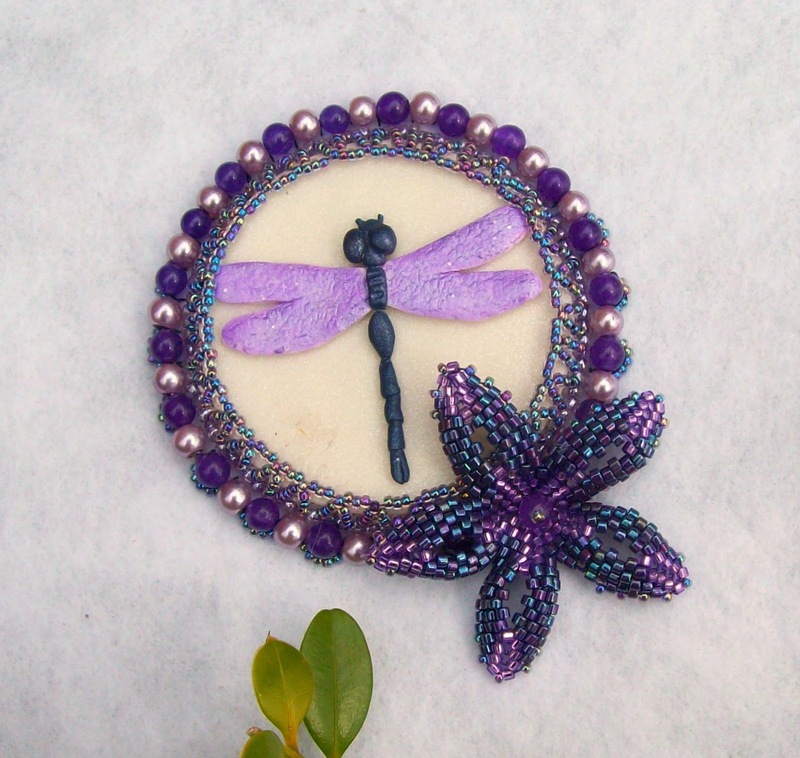 I'm so, so impressed by anyone who can do such lovely beadwork--and, with that flower, you take it to another level! what a fun hop! and I've enjoyed seeing how everyone has used their kits! Your bezel is gorgeous! and the flower is awesome! This looks lovely, you are very talented, I enjoy looking at your work, will have to take a stroll over to your etsy shop! I think we were all behind I just got mine done Friday and started my bezel the day before. Love the added touch of the flower. Thank you for hosting this challenge and I hope I get to participate again. Love what you have done so far, that flower is gorgeous. Can't wait to see how you finish it. Thanks so much for hosting the Spring Fling, it was a lot of fun. I am beyond sorry I missed this this time around. I have been out of the loop in so many ways. 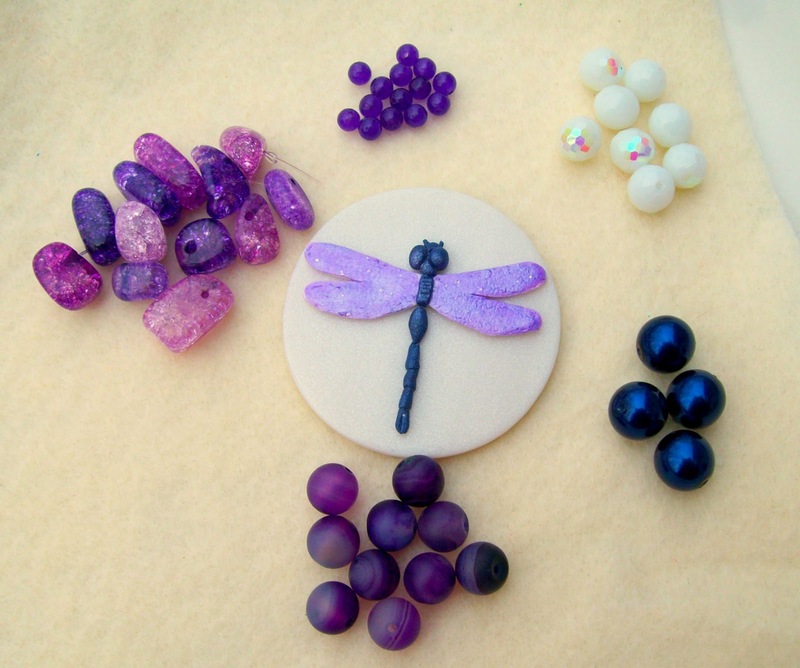 I love what you put together in the kits and what you created with the time you had! It was fabulous...i liked the way you put together all the beads in a very artistic way..i think if you band below the kit then it can also be used as bead bracelets...right? Wow! I like what you did with the focal.